WALNUT, CA -- For New Mexico's Kashon Harrison, it was a repeat performance. For La Costa Canyon's Kristin Fahy, it was another stop on her tour of redemption that will, appropriately, conclude at home in front of friends and family. 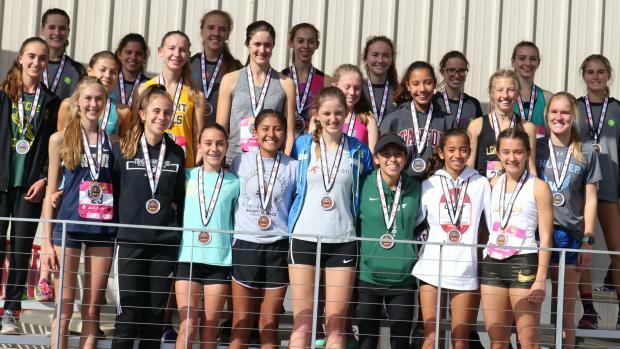 Harrison and Fahy won the seeded races for boys and girls, respectively, on Saturday at the Foot Locker West Regional held on the 5K course at Mt. San Antonio College. 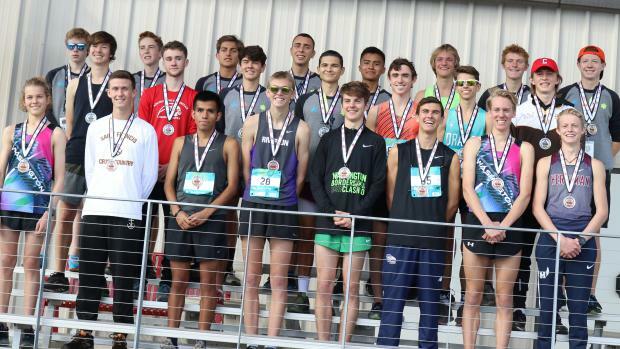 The top 10 finishers in each of the two seeded races will represent the West at the Foot Locker National Championships on Dec. 8 at Morley Field in San Diego. California runners make up half of each of the two teams. Harrison, from Kirtland, New Mexico, won for the second year in row, crossing in 15:33.6, 4.8 seconds faster than his winning time from a year ago. Harrison, who was 13th as a sophomore (15:59.30), will be the only returning member of the West Region team, boys or girls, from 2017. "It's amazing, I guess," Harrison said of his back-to-back titles. 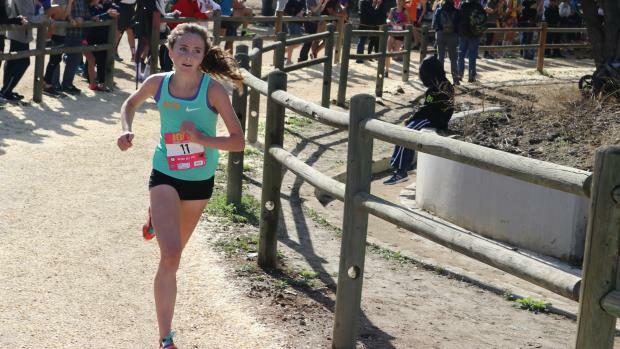 The Foot Locker West Regional brings together top runners from 12 states in the Western U.S. to compete for spots on the Regional team headed to San Diego, but also includes eight grade-specific races plus an open race. Athletes are awarded All-Region medals. The top eight are considered All-West Region First Team, finishers 9-16 are Second Team, and 17-24 earn Third Team recognition. Rain on Thursday left mud and puddles on the course that Mt. SAC grounds crew tackled throughout the day on Friday. Most the slickest areas were covered in wood shavings and other portions of the course were damp like clay. Footing, however, did not appear to be a factor in any of the seeded races, the last two of the day's 11 races. 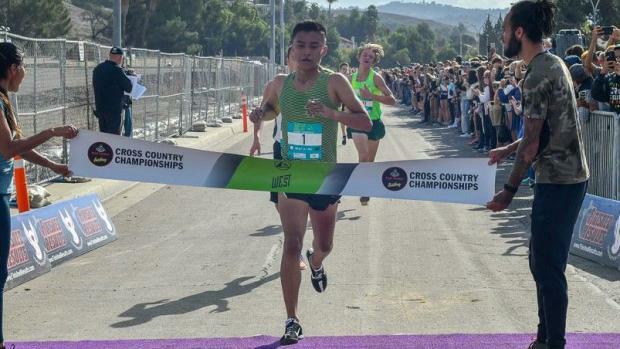 CIF-Southern Section Division I champion William Frankenfeld of Long Beach Poly was second (15:34.4). Two-time CIF-State Division IV champion Anthony Grover of JSerra, a junior who missed the 10th qualifying spot last year by 4.3 seconds, was fourth (15:37.6). Arroyo senior Noah Hibbard continued his stellar season, placing fifth (15:37.8), a year after placing 49th (16:36.2). De La Salle senior Connor Livingston was seventh (15:43.5) a year after placing 20th (16:09.8). 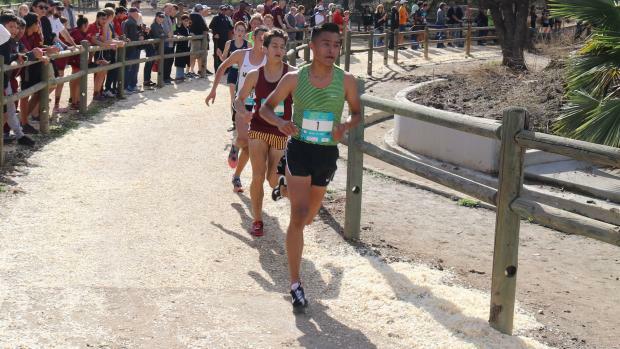 Jonathan Velasco of Mission Hills, whose shot at a State Meet podium finished went sideways when he ran the wrong direction last weekend at Woodward Park in Fresno, was ninth (15:48.5). Zachary Erikson (Idaho Falls, Idaho) was 10th in 15:48.7. Russell is a three-time Idaho state champion in XC and also the state's best in the 1600 and 3200 in track. Bausch, a senior, is the Alaska Division I champion in XC, and both the 1600 and 3200 in track. Ryan Smithers, the CIF-Southern Section Division IV champion from Laguna Beach, lost his balance within a stride or two of the finish line at the end of a sprint up the slight asphalt grade called "The Airstrip" and had to crawl across the carpet finish line. Smithers, who helped lead Laguna Beach to CIF-SS and CIF-State titles the previous two weeks, placed 11th in 15:52.4. Also, of note, Grover's teammate at JSerra, senior Peter Herold, 65th a year ago, was 14th in 15:59.8. 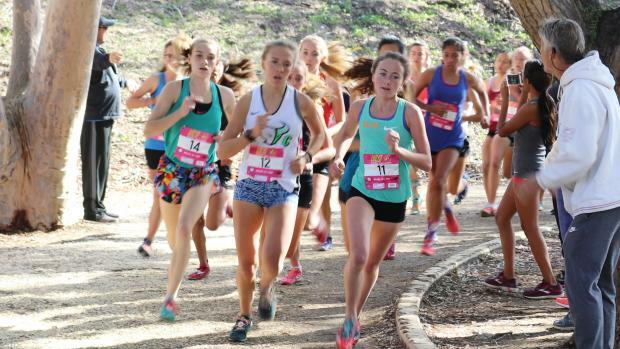 Fahy, a three-time San Diego Section divisional champion, is coming off an emphatic victory in the CIF- State Division II race a week ago in Fresno. It has been well documented how Fahy, on the verge of a State D-III title as a junior, fell late in that race and was never able to finish. A week after that, she tried to run at FLW but stopped on the Mt. SAC course and did not finish. On Saturday, Fahy did not stop and not only did she finish, she finished strong, as has been her form throughout the championship season. Her winning time of 17:52.8 was 5.1 seconds in front of runner-up Allie Janke from Spokane Washington. As a sophomore, Fahy placed 14th in 18:35.5. As a senior, she will get to race on her "home" course of Morley Field, where she has won those previous three SDS titles as part of what her quick math totals eight times running some variation of that layout over her four seasons. "It's super exciting for me to get to go to Nationals on my home course," Fahy said. "It's so cool!" Healdsburg senior Gabrielle Peterson, the CIF-State Division V champion, was fifth in 18:12.4. Mayfield sophomore Audrey Suarez, the CIF-State Division IV champion, was sixth in 18:18.0. San Clemente junior Hana Catsimanes continued her breakout season, placing seventh in 18:20.7. Granada senior Colleen McCandless, 35th a year ago, was 10th in 18:25.6, a 54.7-second improvement year-over-year. McCandless, charging in her trademark visor and dark glasses, just held off Miliana Perez of Clovis North by 0.9. Washington's Annika Reiss, the only returning girl from the West Regional team last year, was 26th (18:47.2). Anna Martin (Lehi, Utah) placed third in 18:06.5. Lexy Halladay (Kuna, Idaho) was fourth in 18:11.0. Olivia Markezich (Woodinville, Washington) was eighth in 18:21.1. Erinn Hill (Spokane, Washington) was ninth in 18:24.1. Martin, a junior who was 14th a year ago (18:44.2), is the Utah state 4A champion and also a 3200 champion in the spring. Janke, a sophomore, was 15th a year ago (18:46.3).